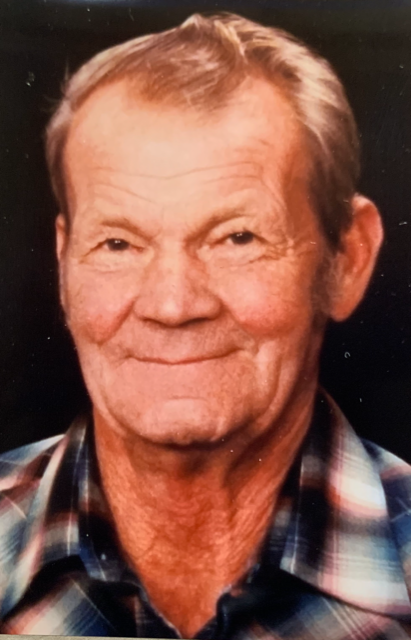 Wiley Ray Keen, Sr., Shawnee resident for 54 years, passed from this life to be home with the Lord on January 4, 2019 at his home in Seminole County at the age of 83. Wiley was born in Hugo, OK to Kelsie and Lavada Keen on June 21, 1935. He married Sarah M. Kates of Okla. City on Jan. 26, 1957. Wiley and Sarah moved to Shawnee in 1964 and started Wiley Keen Construction. Wiley Keen Construction framed and built homes in Shawnee during the “housing boom years” to accommodate the housing demand brought on by the expansion of Tinker Air Force Base. Wiley Keen Construction was a proud member of the Shawnee Home Builders Association. In 1988 Wiley remolded the Pizza Hut store in Shawnee. Pizza Hut Inc. offered him a contract to remodel and build Pizza Hut stores from coast to coast. Wiley signed and accepted the offer and a new adventure began. Wiley and Sarah spent 15 years working for Pizza Hut Inc. In January 2005, Wiley and Sarah retired and purchased some land east of Shawnee in Seminole County. Wiley and his sons built a home and woodworking shop were Wiley built anything from bird houses, rocking chairs and just whatever came to mind. Wiley was raised on a farm and at a young age was given the job of driving the old Ford 9N tractor, working beside his father, Kelsie Sr. raising crops. Wiley purchased his own 9N tractor and when he wasn’t in his woodshop, he was on the tractor mowing the grass, as this brought back the memories of his childhood on the farm with his father. Wiley’s most pressing job on the farm was to make sure that the fish didn’t get out of the pond, keep a head count on how many, type and size of the fish. Wiley is survived by his sons, Wiley R. Keen, Jr. of Stuart, OK, Daniel J. Keen and wife Lindey of Shawnee, Lonnie Thomas Keen, Sr of Sapulpa, OK, Randy Lee Keen and his wife Marquitta of Barling, Ark. And Jeffry Alen Keen and his wife Joyce of Shawnee; his mother, Lavada (Foster) Keen (mother of 102 years); brothers and sisters, Wanda Griffin, Lonnie Keen and wife Carol, Barbara Poindexter and husband Allen, Patricia Aryes and husband Rick and Kelsie Keen Jr. and wife Charlotte; brother-in-law and sisters-in-law, Bill Kates, Lena Dearth and Deloris Griffin; grandchildren, Laura, Lydia, Jennifer, Scotty, Lonnie, Robert, Heather, Whitney and Nash; great-grandchildren, Peyton, Brayden, Brodix, Tyler, Zachery, Jaqulyn and Jackson and a host of other family and friends. He was preceded in death by his father Kelsie L. Keen, Sr.; wife, Sarah M. (Kates) Keen; sister, Myrtle J. Keen; daughter-in-law, Norma L. Keen; grandchild, Lisa M. Keen and brother-in-law, Leon Griffin and sister-in-law, Nina Willett. Memorial Services will be held on Friday, January 18, 2019 at 11:00 AM, at Harvey Road Baptist Church in Seminole, OK with Bro. Russell Vicars officiating.